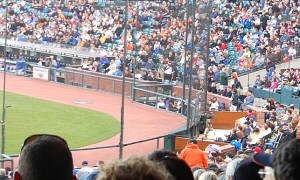 If your kid can’t get enough baseball, this party is sure to be a grand slam! 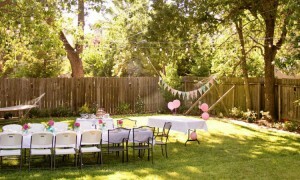 Kids love a good theme party, but let’s be honest – so do us adults. 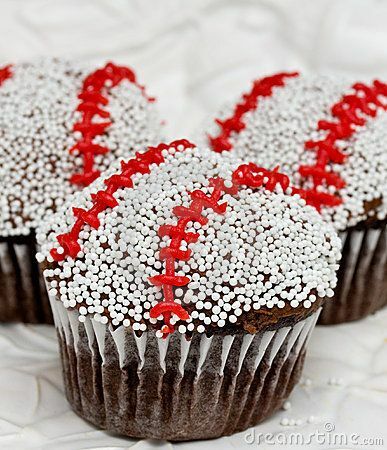 If your son or daughter is a baseball lover, then these party ideas are sure to be a home run! 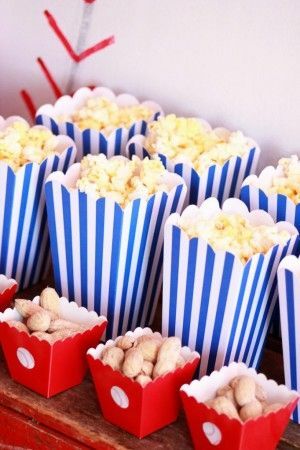 These adorable ballpark themed snacks are baseball party perfect (and a guaranteed hit with guests)! 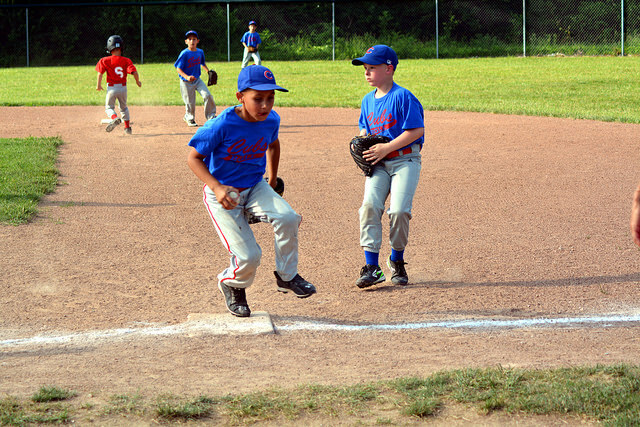 It’s not a real baseball party without a game of baseball, but put a fun twist on the game by making up crazy rules. Have the kids run backwards, make them spin around 3 times before they hit the ball – anything goes in this fun version of America’s favorite past time! You don’t have to spend lots of money on elaborate decorations – in fact, many of these ideas are totally DIY-friendly. 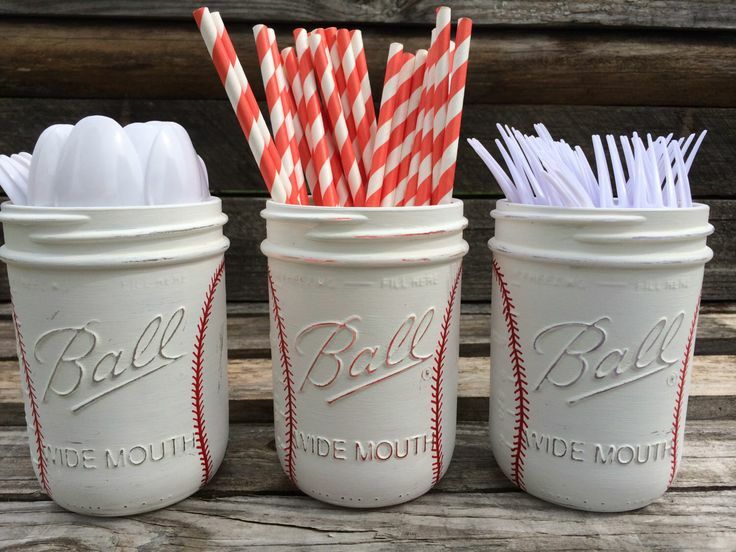 Paint mason jars white and draw on red “stitching” to resemble a baseball, and fill them with straws, plastic utensils, and other party needs. These adorable cupcakes are easy to make and will look great sitting on the table! Ice them in whichever flavor the guest of honor requests, and then roll them in nonpareils. Top it off with red icing “stitching” and these treats are good to go! 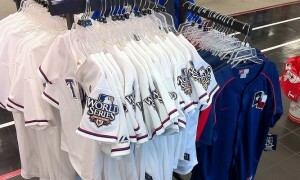 What are some of your baseball party essentials? Let us know in the comments below!